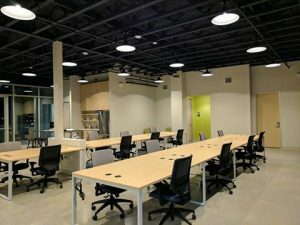 Austin, Texas, Jan. 30, 2018 (GLOBE NEWSWIRE) — The Center for Social Innovation (CSI), an integrated campus for socially innovative nonprofits and purpose-for-profit enterprises operated by Notley, today debuted a social entrepreneurship and nonprofit coworking community at Springdale General in East Austin that serves individuals and startup organizations committed to driving impactful outcomes. To launch the new coworking space, Notley is announcing a partnership with Capital Factory, the center of gravity for entrepreneurship, to bring together capital resources, educational programs, and an international network of mentors to help tackle some of society’s biggest challenges. Notley, the organization behind CSI, is catalyzing social change and unlocking new opportunities with today’s impact organizations and changing communities. With a reputation for operational excellence in entrepreneurship in and beyond Texas, Capital Factory will be lending its expertise in coworking operation and offering its worldwide community of mentors to support coworking members at all stages of their social entrepreneurship journey. 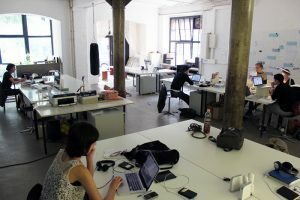 Within 10,000 square feet, coworking at CSI provides a unique mix of private studios, dedicated desks, conference spaces, lounge areas, and an additional 5,048 square feet of meeting space. Programming will be designed to spark dialogue, collaboration, and networking between social enterprises and nonprofits with similar goals. Members will also engage with a global network of mentors able to help them gain traction in scaling impact, building mission-driven business strategies and raising capital. CSI’s coworking infrastructure will be powered by the same Union online platform that Capital Factory uses to manage its community engagement including mentor sessions, educational events, and funding challenges. In addition to the mentor network that Capital Factory has assembled in Texas, Union brings access to a global network of resources for social entrepreneurs that includes over 800 learning resources and classes, 1,700 mentors and facilitates over 4,000 connects every month. The platform provides entrepreneurs with access to crucial resources and connections with like minded innovators across the world. Currently, over 75 incubators, startup hubs, and investor groups host their communities on Union. The Center for Social Innovation is now accepting applications for coworking membership. Current members include Black Fret, Half Helen Foundation, MU/DAI, and The David Weekley Family Foundation. To sign up for more information about membership, visit socialinnovationaustin.org.